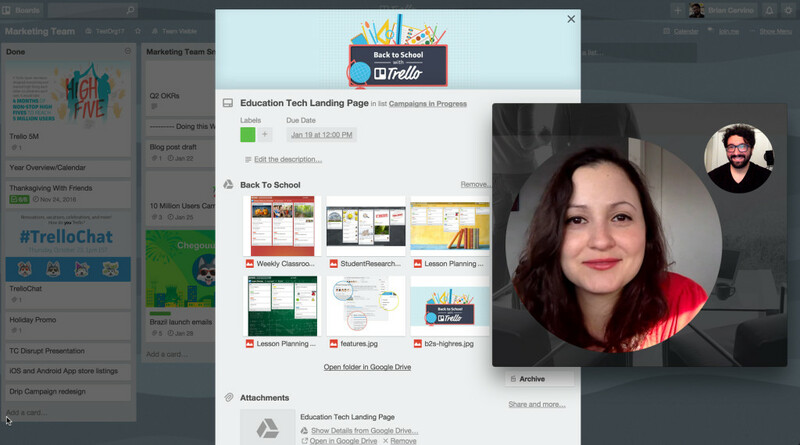 A few months ago, project management tool Trello launched third-party integrations with tools like Slack, GitHub and Salesforce for its paying users. Now, it is opening this platform to more developers with the launch of its so-called “Power-Ups Platform” for developers who want to integrate their services with Trello. The company also today said it now has “12 million users,” up 20 percent from September 2015. It’s worth noting that these are 12 million sign-ups, not registrations. About a year ago, Trello told us that it had 1.7 million monthly actives but wouldn’t provide us with updated active users numbers this time around. Instead, a spokesperson told us that Trello now sees 130,000+ signups each week, up from 120,000 before the holidays. How many of those eventually convert to paying customers remains unclear, of course. Indeed, Trello also didn’t want to disclose how many of its users are on its paid platform. Launch partners for Trello’s new developer platform include the likes of SurveyMonkey, Zendesk, join.me and Giphy. In total, Trello currently features about 22 add-ons in its directory. For Trello users, having access to these third-party tools directly inside the service means they won’t have to switch context quite as often to perform some routine tasks and will be able to automate more of their workflow inside of Trello. It’s worth noting that Trello has long had an API that gave developers access to some of Trello’s features from inside their own apps. With the new platform, though, developers can directly integrate certain features into the Trello user interface. These integrations can be public or, for internal tools, developers can choose to only make them available to a single organization. Developers who want to make use of the Power-Ups platform still have to request access for the time being. Trello competitors like Atlassian’s JIRA already feature a similar plug-in architecture for third-party integrations. Atlassian’s marketplace for third-party developers recently hit over $120 million in sales (though this is across all of its services, not just JIRA). Trello is currently mostly using Power-Ups as a way to upsell its free users to a paid plan, but over time, it could likely build out a real marketplace, too.